Update 1: After this post was made, Scotiabank quickly cleaned up the f-bomb on November 16, 2016, a mere 230 days after it first appeared. Update 2: An update to all the questions I got about this are here. Over the years, I've learned that an unhappy programmer is a bad thing. What ultimately happens is either the programmer does something bad, or does something stupid - and in some unfortunate cases, does both. Here's an example with Scotiabank that showed up an unhappy programmer, and it's actually quite embarrassing for that bank. 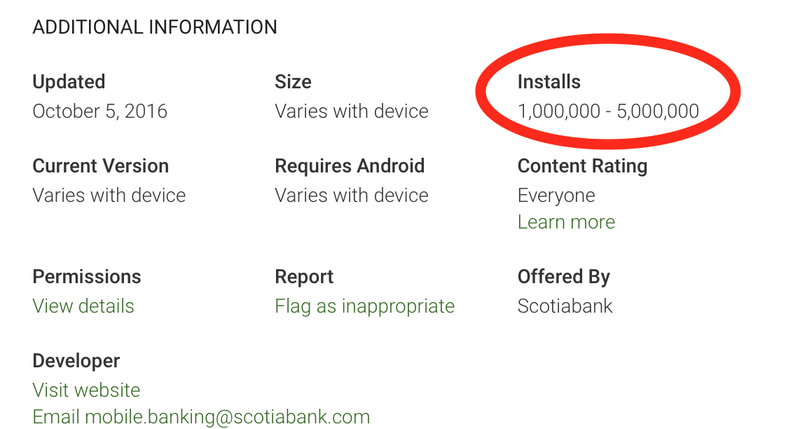 ScotiaBank built their current Android app using the Kony system, and this is outlined on Kony's website. However, the unhappy developer left a "F**k kony" message in the app and then shipped it to over a million of the bank's customers.... Here's the figure backing that up, as shown on the Google Play store. Here's the offending message pulled from Scotiabank's Android 16.9.1 app (it was also there going back to April at least). This is the type of thing that can make or break a reputation of an institution. 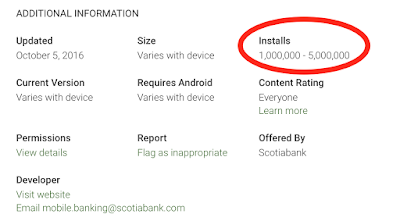 You need to keep your developers happy, and address the issues they have, otherwise things slip and what we're seeing out of ScotiaBank is the result.